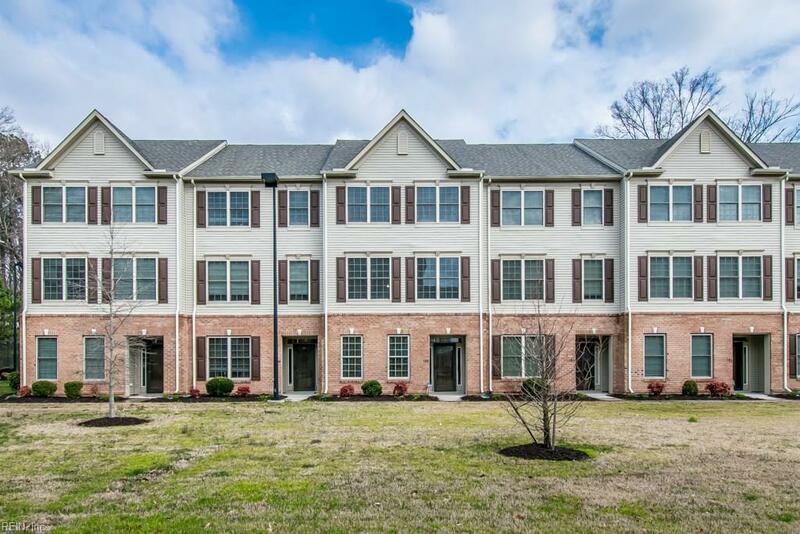 182 Hemisphere Cir, Newport News, VA 23601 (#10243715) :: Abbitt Realty Co.
Show this townhouse first! 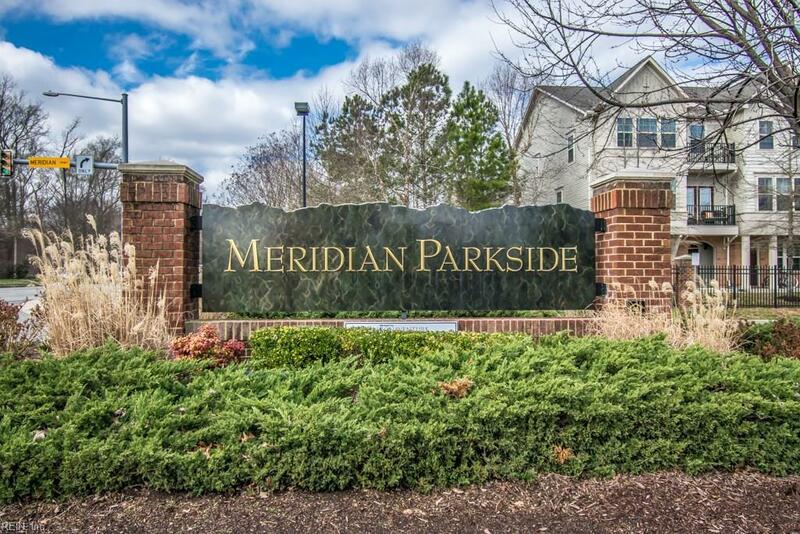 Built in 2012, this Meridian Parkside townhome is situated in the rear of the subdivision facing the wooded area and pool. 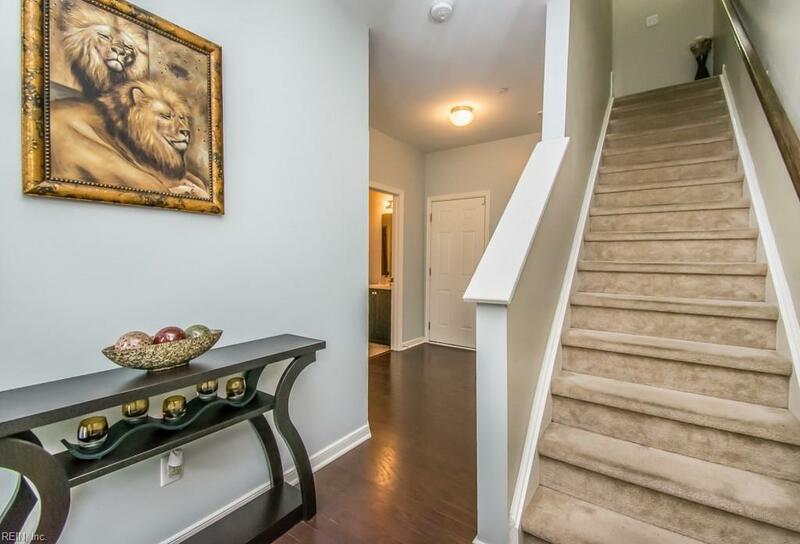 With over 1,900 sq ft, this 3-story townhome has 4 bedrooms, 3.5 bathrooms and a 2-car attached garage. One bedroom and one bathroom are located on the first level. Open concept on the 2nd level includes dining area, kitchen, living/family room and a half bath. Upgraded kitchen has stainless steel appliances and granite countertops. The third level contains the MBR w/ bath, remaining two bedrooms and a full bathroom. MBR has a cathedral ceiling with walk-in closet. Washer & dryer were upgraded by Seller after 2012 move-in and they convey with property. New garage system installed in 2017 and includes lifetime warranty. Security system with motion sensors, keypad and two cameras convey as well. Conveniently located to I-64, shopping and the movies. 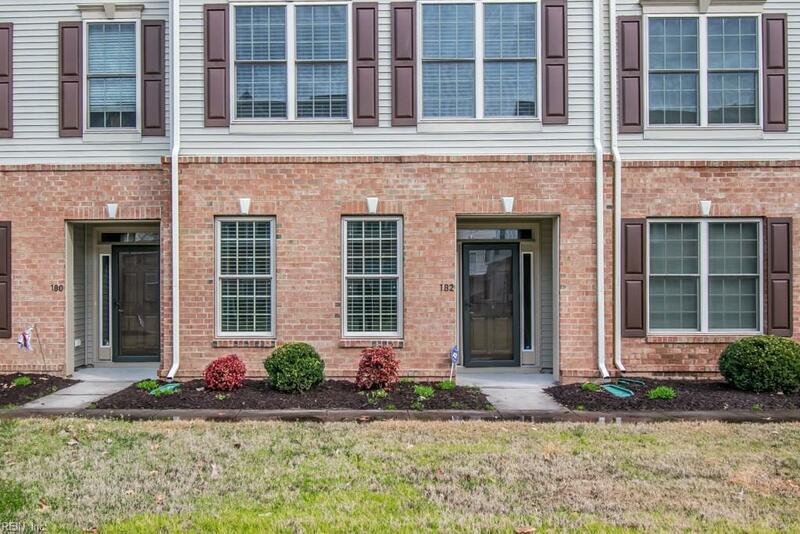 Your dream townhome awaits you!